This week is the 40th annual Hunger and Homelessness Awareness Week at Villanova, a week which promotes advocacy for our hungry and homeless community members via “discussions around the root causes of poverty, particularly food insecurity and homelessness.” HHAW began at Villanova in 1975 but 750+ educational institutions around the country have since taken Nova’s lead, and similar advocacy weeks happen in conjunction every November. Visit Campus Ministry’s info page to keep up to date on this week’s events. Don’t do it. 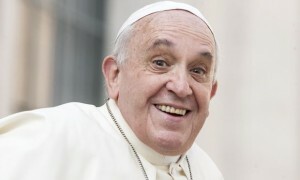 Okay, okay, so Pope Francis is not averse to pictures of food, but he certainly doesn’t think your phone should be anywhere near your dining room table: “When children at the table are attached to the computer or the phone and don’t listen to each other, this is not a family, this is a pensioner” [source]. Well, he has a point. We’re all about information and technology, but at what cost? Put down the phone, make eye contact, and enjoy the virtue of family (or friends!) today. Happy birthday, Martin Scorsese! The famed director is 73 today. 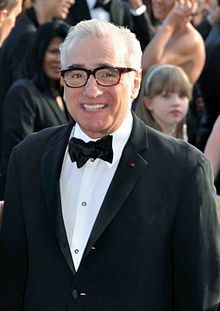 Scorsese is known for the films The Wolf of Wall Street, Goodfellas, The Departed, Gangs of New York, Raging Bull, and Taxi Driver (among many others).